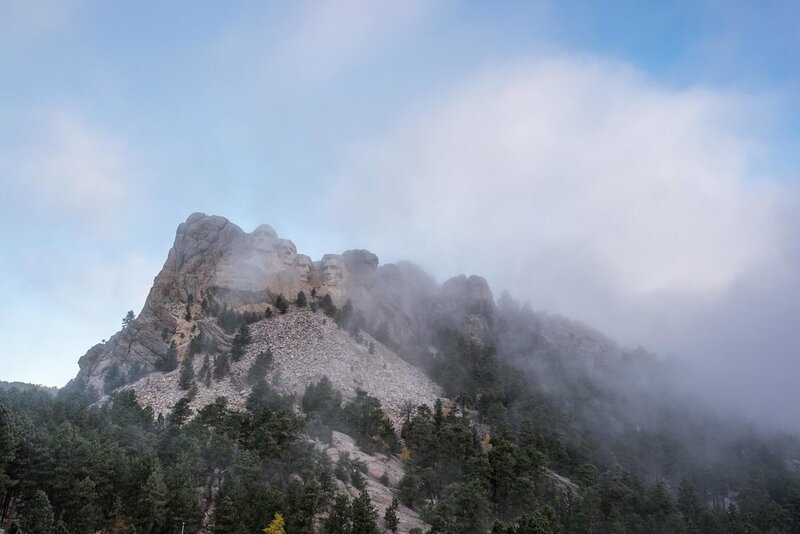 Just like the National Park Service, Mount Rushmore also celebrated a milestone birthday during 2016, turning 75 years old in October. Happy President’s Day everyone! 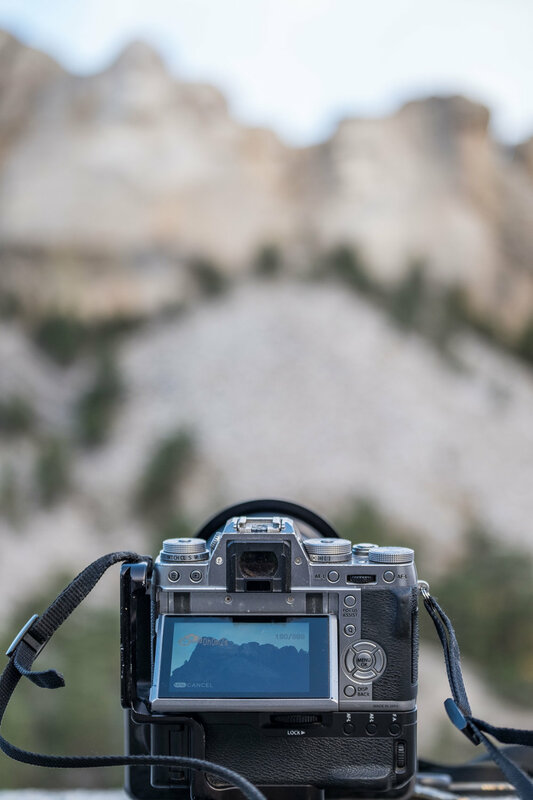 In honor of the holiday, we wanted to share this stop along the road at one of America's most celebrated landmarks: Mount Rushmore National Memorial. It sits about half way between Badlands National Park and Wind Cave National Park on the western side of South Dakota. We arrived early in the morning to a thick blanket of fog that covered the veneer of our president’s faces… about 30 minutes later, before the sun came up and prior to hoards of visitors entering the gates, the fog lifted—only for a couple of minutes, and long enough so that we could capture the scene before the fog rolled back in. Even that short meeting allowed us time to stand in awe of Rushmore... it is place that is really exciting to see in person. How sculptures of that size could be created at such a massive scale and endure for such a long period of time is absolutely astounding and wonderful to see in its rocky flesh. Happy President's Day everyone! *A batholith is large-scale plutonic rock formed from cooled magma from deep within the Earth's crust. Half Dome in Yosemite is another example of a batholith.